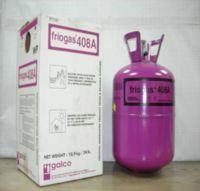 - Pressure is approx. 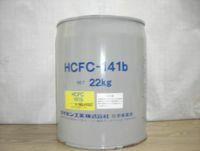 1.6 times higher than HCFC-22, thus major design changes are required. 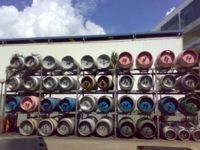 - Constituents have similar boiling points, but refilling is needed. 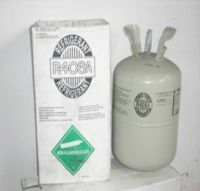 R-502 is a mixture of HCFC-22 and CFC-115. 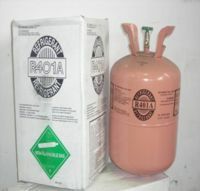 These two constituents have similar boiling points. 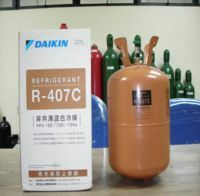 Compared to HCFC-22, R-502 has a slightly higher discharge temperature. 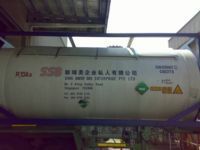 It is thus widely used in commercial low temperature equipment. 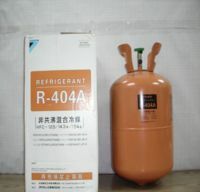 R-404A has the same if not lower discharge temperature than R-502. 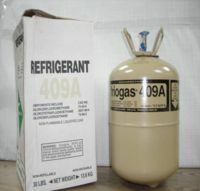 For this reason, it was tested in detail by AREP/JAREP and is already used in refrigeration trucks and conditioning units..
- Can replace R-502 without major design changes. 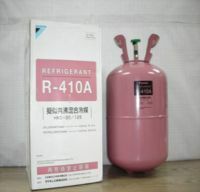 HFC-134a was introduced early on as a refrigerant for car air-conditioning and refrigerators because it has refrigerant characteristics and a stability very similar to CFC-12. 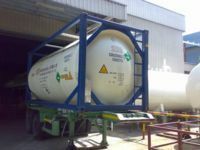 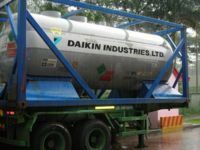 It is being used not only as an alternative to CFCs but also HCFCs, as well as a foaming agent for polyethylene and other substances. 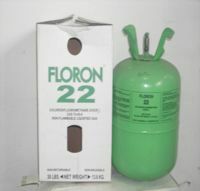 It is also being used in aerosol sprays because of its non-combustibility. 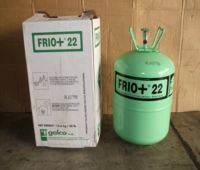 The zero ozone depleting replacement for R22 suitable for new equipment and as a drop-in replacement for existing systems. 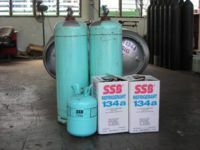 The zero ozone depleting replacement for R13B1 in new and existing equipment.